Our Season Greeting gift basket is a feast for all. 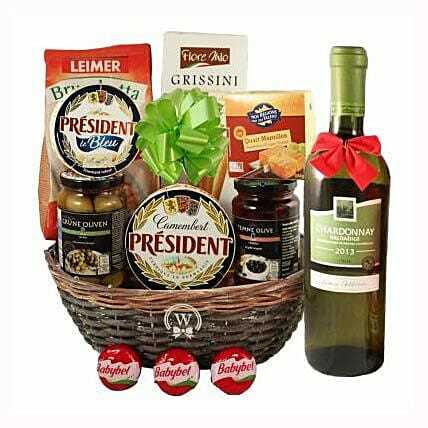 This beautiful Mediterranean gift basket is filled with delicacies food which any person would love it. Store your wine in the reffrigerator.